A power elastic blade like Ebenholz NCT V is suitable for all playing strategies of modern table tennis. 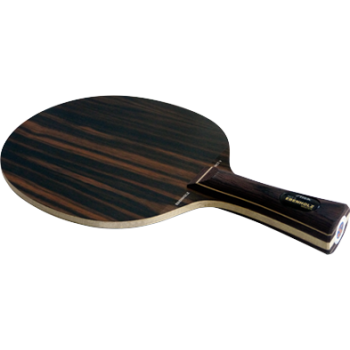 The high quality and unique combination of the best wood plies in Ebenholz NCT V guarantees ambitious players maximum control even with many variations of speed and strokes. Ebenholtz NCT V is a well-balanced state of the art blade that enables players of all abilities to play to their full potential.